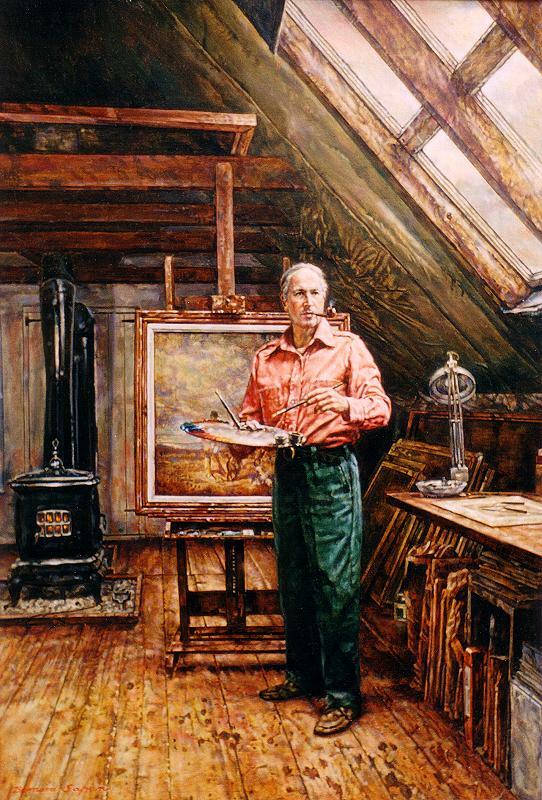 Safran painted a number of self portraits over the years, but only two are set in his studio. This one is in his studio in Jolicure, New Brunswick; an unfinished kitchen loft in the old farmhouse in which he lived. He approached painting as a full time job, and would begin each day at 9 AM and end at 5 PM, when he would enjoy a martini and listen to some opera.